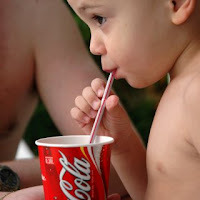 And Yet They Deny: Is Coca-Cola An Alcoholic Drink? Is Coca-Cola An Alcoholic Drink? Coca-Cola - the world's most popular soft drink, enjoyed by billions of all ages across the globe could have alcohol in it? No way; it couldn't be... could it? "Shaitan (Satan) wants only to excite enmity and hatred between you with intoxicants (alcoholic drinks) and gambling, and hinder you from the remembrance of Allah and from As-Salat (the prayer). So, will you not then abstain?" N ot every single component has to be listed on a product's packaging; thus no sign of alcohol's presence. The argument for it being contained within the drink is that it could be used in extracting a product's natural flavour from itself; in this case it would be using diluted alcohol (of about 20% in concentration/strength) to help extract coca flavour from [already decocainized] coca leaves. 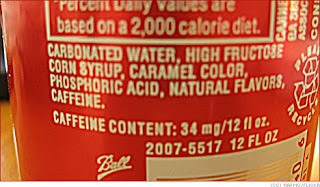 This extraction process results in a coca-flavoured fluid being made (the first ingredient listed in the "original recipe"). Alcohol would fall under the umbrella of the "natural flavours" ingredient, due to its catalyst-like style usage in obtaining the coca flavour. On a side-note but just as important is the use of glycerin; a natural, colourless, odourless, viscous liquid which is sweet in taste. It can be found within vegetable oils, and animal fats - such as that of a pig (again as you may already know, consumption of pig meat is also forbidden by God). Coca-Cola Company states that their entire catalogue of drinks are non-alcoholic, and are recognised as such in every country where their products are sold. 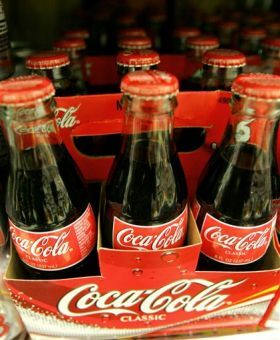 If Coca-Cola does really contain alcohol; then it would really be one of the biggest scandals, not just in the food and drinks industry, but across the board. This drink is so embedded into cultures worldwide as a tasty and refreshing drink - but having already been saddled with controversy surrounding its make-up such as its high sugary content, caffeine intake issues and the legendary cocaine-related "myth" - to now be suspected of having alcohol within could see the downfall of the drink we all "enjoy".